Identification: Upperside has dark markings on a background of medium to dark olive brown tinged with olive and pink. 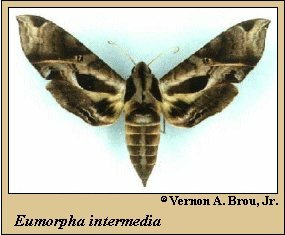 Forewing has a very dark rectangular spot at the center of the inner margin which is separated from the margin by a row of white scales. 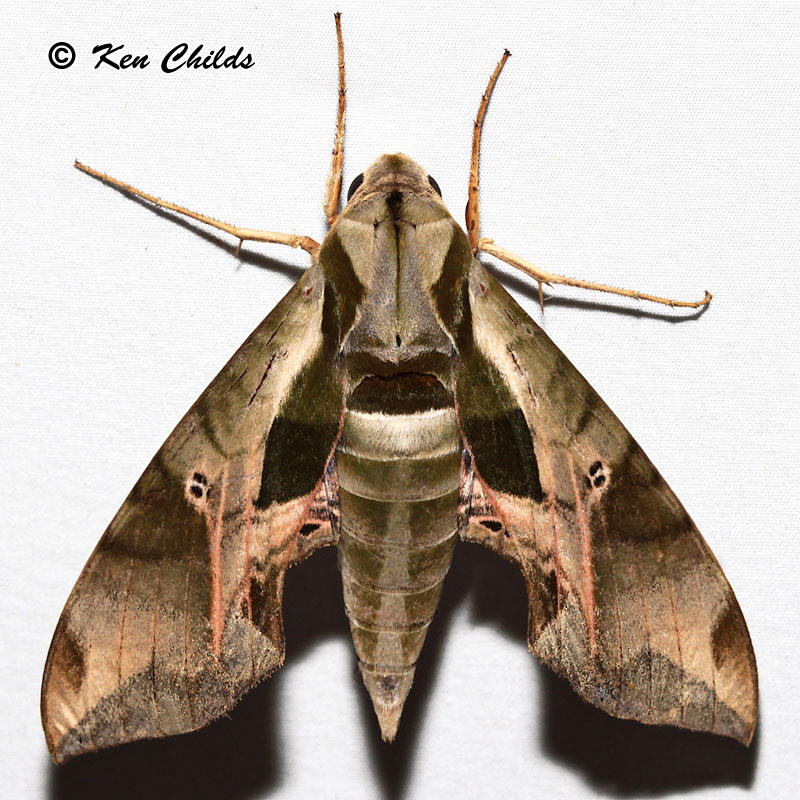 The area between the rectangular spot and the base of the wing is a light olive-brown. Underside of the wings is reddish-brown. Wing Span: 3 9/16 - 3 7/8 inches (9 - 9.8 cm). Life History: Caterpillars pupate in shallow chambers in the soil. Adult Food: Probably flower nectar. Habitat: Lower austral and subtropical lowlands. Range: North Carolina, Florida, Mississippi, Louisiana, and South Texas.